Are you looking for android apps for your android device? Here in this article we are going to tell you about 3 best android apps which your android device must have. These android Apps can perform amazing functions that iPhone can’t. Have a look on them. There are few others voice assistant services available but they are just normal apps. No doubt Google now is wonderful but what if there is something more amazing available for your android device? Well on android you can install different voice assistants. That can overcome your phone and are as accurate as Google now. One of the best android voice assistant apps is Dragon Mobile Assistant. 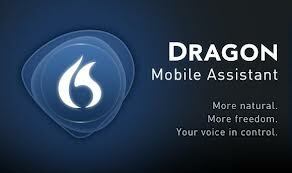 Dragon mobile assistant is similar as a personal assistant they can answer your questions and can help you in bidding. Best among all is that it can replace your Google now and it is always running and always available. Thisamazing android app is available on play store and can be downloaded for free. Download it now. Mostly people don’t realize it that android lock screen is one of the best and most powerful android app. On the iPhone, the lock screen shows date, time and notification. No doubt this information is important but what if I will tell you there is some other information which might be more useful for some of the users? The lock screen is first thing that you see whenever you turn your phone on. And it should display whatever you want. There are a number of apps that provide users more control over the lock screen. 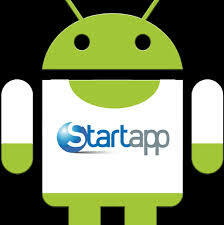 And one of the best Android App among them is START. Start will transform your lock screen from simple lock screen to a hub containing 24 apps shortcuts and wide range of services like Facebook, Twitter, Flickr and many more. Following are some of features of Start. Have a look on them. 2. Easily Launch 24 apps shortcuts of your own choice. 3. Quick access configuration on long press on screen. 4. Social media scream on a single swipe. 5. Camera or any related app can be launched directly. 6. Call, text and email your friends and relative directly without unlocking your screen. 7. Get your favorite content from thousands of sources. 8. Select any theme or use your own picture as a background. Start is absolutely free on Google play and can be downloaded. Download it now and enjoy its amazing features. Well! Android has widgets but IOS has not. Widgets are supposed to enhance the functionality of your android device and help your battery drainage. HD widgets are amazing as they add wonderful design images to your tablets and smart phones. They are fully customizable and very flexible. You can also download additional themes for HD widgets from play store. HD widgets has more than 100 amazing widgets for your device displaying time, date, weather forecast, and many more. There are tons of designs available. HD widgets is not a free android app but it will cost 1.99 $ on Google play. Download it now and have fun.